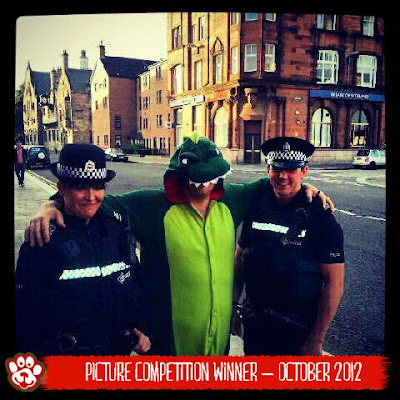 Here's the latest winner of our monthly animal costume picture competition - it's Graeme with his dinosaur-hugging-some-cops snap. Graeme wins the kigurumi animal costume of his choice. ...and keep sending us those photos. We'll be giving away more prizes at the end of November - find out more here.